I know this Speedy! He throws one dandy party! And gets around to many too! A fine representative for bunny-dom. I don't see why Sir Speedy is fussing at you, Rachel. I know for a fact that he trained the Buckingham Palace Guards, and nothing bothers them. A Little Bunny Boy can sure be tough on his Mum. A very dutiful rabbit. A credit to the species. 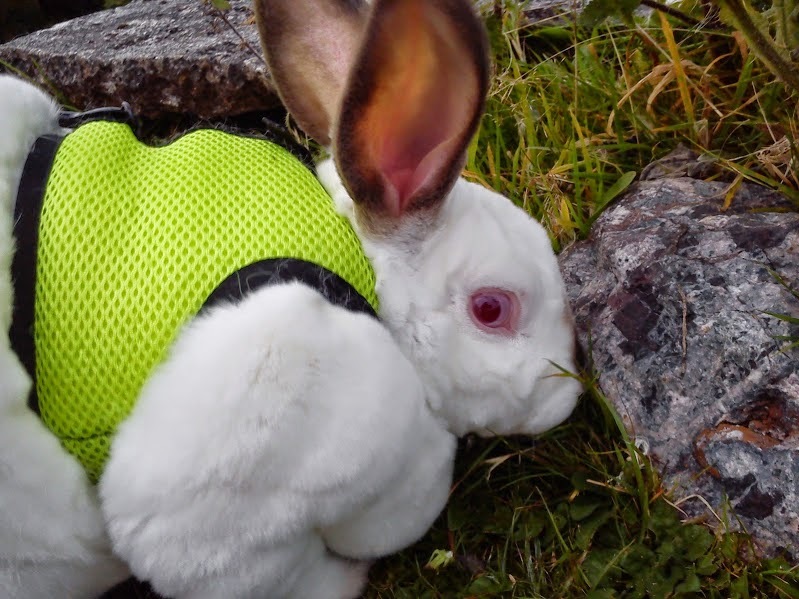 Speedy is a bunderful, brave bunny! And yes, even given his duties as head of his household, where his hoomins live, he still finds time to take them out for walks! He's a handsome, intelligent, and lovely bunny champion! Your doing a great job Speedy.